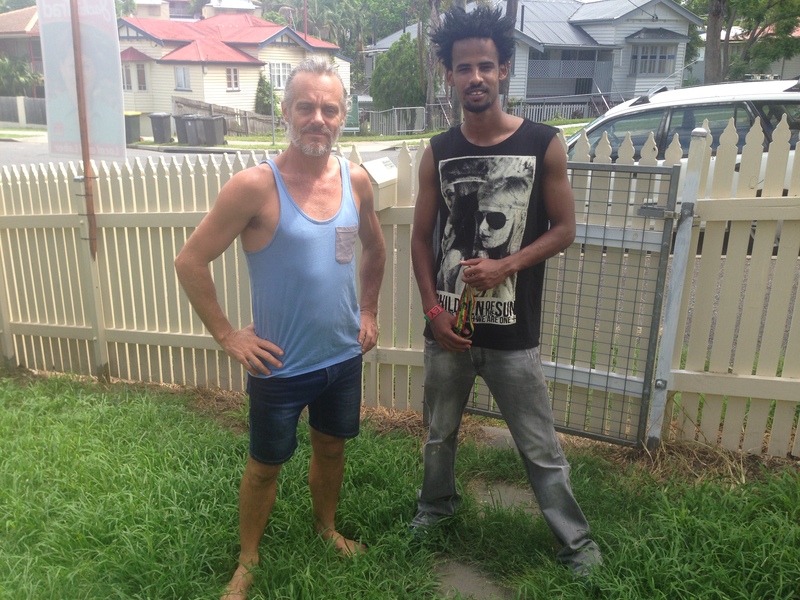 A friend and neighbour, Daryl James,(Daz) who arrived In Australia from Wales with a few dollars started busking to earn his living. He has a song called and the lyrics go “pick up the spoon and start feeding yourself.” He has earned his living independently busking since he arrived in Australia and now picks up gigs all around Brisbane. One of the biggest hurdles migrants to Australia find is getting a job. In the past 10 years I have taught English to hundreds of migrants and refugees. I have never met one that didn’t want to work so that they could have a better live for themselves and their family. Most have gone on to find employment, do further study and start businesses but not until a difficult period of unemployment, adjusting to life in a new society. Many migrants have their benefits stopped by Centrelink (the Australian Government Welfare Agency) because they didn’t understand the rules. Can you imaging how difficult those Centrelink letters are with all that writing, when you can’t read the language. Imagine being plucked from a refugee camp in Kenya, resettled in Australia by the UNHCR and having to learn everything that living in a new country requires, and in a new language. Here in Brisbane, we are having a humid subtropical summer and all the lawns are long and gardens overgrown. People have returned home and to work after Christmas and the last thing they want to do is mow their lawn in +30 C heat with 80% humidity. One of my ex-students hasn’t been able to find employment. Ryan is a 21 year old humanitarian migrant from Ethiopia. He studied English for 2 years while looking for work but couldn’t find any. He did his Certificate 2 pre-apprenticeship to be a mechanic but couldn’t find an apprenticeship because he’s 21 and has to be paid adult wages instead of junior wages. Daryl James taught me through his song. I’m teaching Ryan to “fish” and in return Ryan is helping me with James Blue House Free School. You can also help me to continue this kind of work by donating to James’ Blue House Free School Bus so I can create a free travelling school to take education to people who don’t have access to traditional education. And that is collectivism, each one helping one another. Each one must teach one. Previous PostLooking for free translatorsNext PostWho is James Arthur Warren and what is James’ Blue House Free Schools?